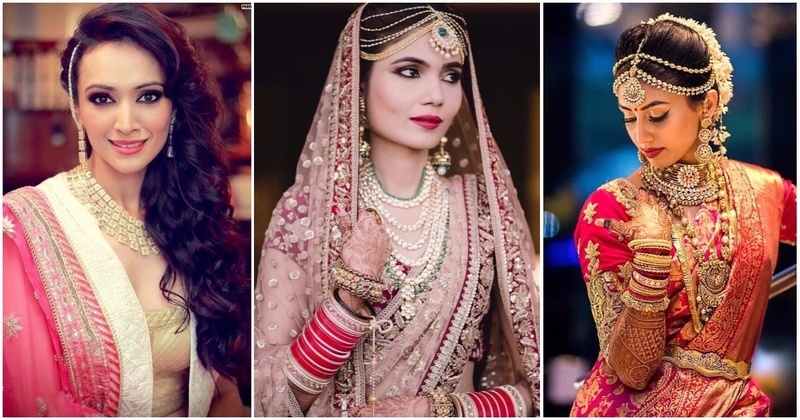 Top 10 Bridal Makeup Artists In Mumbai To Consider For Your 2018 Wedding! Popularly known as Aishwarya Rai’s makeup artist, Ojas has also worked with majority of bollywood including Sonam Kapoor, Deepika Padukone, Katrina Kaif and more. She brings together a mix of 20 years of experience and current global trends while reimagining makeup possibilities. Specialises in creative eye makeup and hairstyling. Jharna Shahs beautifying art is all about striking a balance between ‘Perfect’ you on camera and ‘Gorgeous’ you in person. She also owns Jharna Shah Makeup and Hair Academy which is one of the top names in the makeup and hair industry. An artist that needs no introduction, Cory Walia has been working his magic with make-up for over 25 years. Part of Lakmé's bridal dream team, Cory is known for giving brides, dream makeovers on their special day. His experience reflects in his work. He has offered his services for editorial photo shoots, fashion shows, film and of course, weddings. Mickey Contractor is one of Bollywood's top makeup artist with many popular films under his belt since the late 1970s. He is MAC’s Director of Makeup Artistry for India. Known for doing Aishwarya Rai’s bridal makeup for her wedding! Namrata Sonis works have been featured in popular magazine covers like Vogue, Elle, Cosmo to Bollywood’s biggest films like Om Shanti Om, Salaam Namaste, Main Hoon Na and more. She is known for being the one behind Sonam Kapoor’s Cannes looks. With over 30 years of experience, this duo also has their own cosmetics range specialising in Indian skin tones. Their inborn desire for art and beauty has elevated them to the top position, making them a master of this craft. Her signature look is best described as fresh, flawless and luminous skin with an understated modern approach to beauty. Her natural talent and professionalism has kept her in high demand since the inception of her business and she continues to be one of India’s leading makeup artists. With her vast experience and expertise she is regularly sought after for feature films, fashion shoots, high profile weddings and more. Another one of Mumbai’s top makeup artists, she specialises in bridal makeovers and celebrity shoots. She is known for a flawless, professional look that maintains natural beauty. Trained by industry stalwarts like Cory Walia and Annie Shah of London, Dimple Bathija is a very popular bridal makeup artist with an experience of over a decade. Her creative bridal makeover skills will give you any desirable look for your special day. She takes care of all details such as the bride's complexion and facial structure, the color theme of the ceremony, the family's cultural traditions, the time of the event, and of course, the bride's personal preferences. Her amazing flair for makeup has fascinated many and has been extensively appreciated by her clienteles. Bridal look being her area of expertise, she understands the importance of the day in every bride’s life and thus, provides on location service worldwide. Zubair Shaikh is a very well-known bridal makeup artist of Mumbai. With his vast amount of experience and bridal makeover skills, he can help you achieve any look that you have in mind. Zubair believes that wedding makeup should be such that it looks both beautiful, simple yet not overdone.